Salted avocado toast for breakfast? Yes, please. Is there anything better than salt? 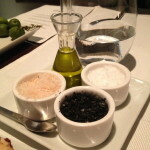 My favorite part of our fancy meal in Barcelona was the trio of salts – pink, black, and white. We had foie gras, tuna, stuffed squid with black sausage, suckling pig, and chocolate three ways for dessert. And the thing I remember the most is the salt. I wonder if I can find pink or black salt here? I have a little bit of a salt problem. 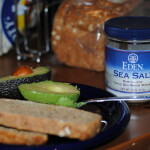 Posted in Food and tagged avocado, barcelona, salt on December 11, 2012 by jiperry.